The Governors’ Cup makes up the second installment of the regular Philippines Basketball Association season. The PBA format differs from big-name basketball markets like the NBA regarding format, team size, and popularity, but legal basketball betting is in high demand in the Philippines and still sees a sizeable number of betting activity. PBA Governors’ Cup betting is possible through licensed and regulated offshore sportsbooks that offer PBA basketball betting. There are some domestic wagering options in the Philippines, but offshore sportsbooks provide more expansive betting options and allow residents to bet on other leagues outside the Philippines. This page focuses on the specifics of the Governors’ Cup and has information on how to wager, teams in the running and more. Is Governors’ Cup Betting Legal In The Philippines? It is legal to bet on basketball in the Philippines as long as it is done through licensed and regulated offshore brokers. There are some betting options based in the Philippines, but these sites are barred from accepting local residents. There is another service known as MegaSportsWorld that serves several Asian countries, but MSW doesn’t come with the same features as licensed offshore sportsbooks. Each one of the sportsbooks listed in this guide possesses both licensing and regulatory protocols, making them legal entities in the eyes of the Philippine government based on Philippine gambling laws. 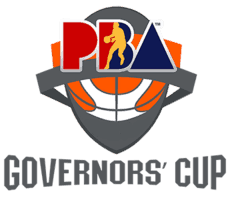 The Governors’ Cup is the third and final conference in the Philippine Basketball Association’s regular season. At the time of this writing, the PBA is in the middle of the Commissioner’s Cup. We can provide a tentative preview of the upcoming Governors’ Cup conference. If there are any changes to the lineup we will make the necessary adjustments. Based on how the conferences are going this PBA season, we recommend betting on the Rain or Shine Elastopainters. Their form in the Commissioner’s Cup is good and they are at the top of the table. If this success translates over to the Governors’ Cup they will be a team to watch. Another team to watch are the Alaska Aces. They have drastically improved from where they were last year. Philippine residents are able to place mobile wagers on PBA basketball through our recommended licensed offshore sportsbooks. These are web optimized platforms accessed through your smartphone device’s browser. The mobile sportsbooks feature the same type of betting lines, wagering types, security features and bonus promotions as you would find on the desktop version. You can access the mobile platforms on any Apple, Android, Windows or Blackberry device, including tablets. Responsive design assists with keeping physical and functional elements consistent no matter which screen size dimensions you are using. When Is The 2017-2018 Governors’ Cup? The Governors’ Cup takes place from mid-July up until late-October. Is There Live Betting Available On PBA Basketball? Yes. Our featured sportsbooks support mobile betting on all conferences of the PBA regular season as well as College basketball betting, and NBA basketball betting. You can access legal live betting options through the live wagering section of the site. There are often special rules associated with live wagering for each sport and these can be found on the sportsbook site. Keep an eye out for exclusive bonuses reserved for live betting. How Do Bonuses Work With Governors’ Cup Betting? Offshore sportsbooks provide bettors with bonuses to give additional funds to bet with at no cost to them. The most common type of bonus promotion is called a match bonus—this is when the sportsbook matches your deposit by a percentage up to a certain amount. Other bonuses are for mobile and live to wager. Most bonuses require you to wager a certain amount before you can make a withdrawal. You can find more specific information within the terms and conditions of each bonus type.